Cumbria is home of the Lake District. As you would expect it offers the full range of holiday accommodation, from five star luxury hotels, to quaint bed and breakfasts and fabulous self-catering cottages. There are also many excellent campsites and caravan parks. Please browse our selection of quality holiday accommodation below, or explore the towns and villages. For a more detailed search please follow the links at the bottom of the page. Huddlestone Cottage and the Hayloft. 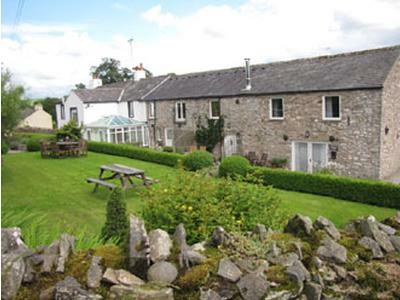 Quality Self-catering cottages near Cockermouth, Cumbria, The Lake District. Sleep up to 4 & 2 plus cot respectively. Dogs by special arrangement Willow Cottage Hartsop luxury (VB 4star)self-catering cottage in 17th Century converted barn in Hartsop, near Patterdale and Ullswater, the Lake District. Sleeps 3. Dogs welcome. Bells Farm, holiday cottage in Berrier, near Keswick and Ullswater. Wonderful pet and family friendly holiday accommodation, sleeps 8. Dogs welcome. Glencree Guest House, 4 star Guest Hosue and B&B between Windermere and Bowness in Cumbria, the Lake District.. Central for the Lake District. Excellent four star rated facilities including WiFi. Please click the link for more on this 4 star Windermere Guest House in the Lake District and Cumbria Lonsdale House, Luxury 4 star B&B in Bowness, in the Cumbria, the Lake District, Excellent bed andbreakfast facilities, rooms with views of Lake Windermere, lounge with bar. Please click for more on this Luxury Lake District Guest House The Ambleside Backpackers B&B, great value bed and breakfast in Ambleside, Cumbria, in the heart of rhe Lake District. Family rooms available. Sleeps up to 66 people. Please click the link for more on this value Lake District B&B. The county of Cumbria was formed from the historic counties of Cumberland and Westmoreland and provides a breathtaking array of scenery from the glories of the Lake District National Park to the splendour of the west coast. It makes the ideal holiday location for all holidaymakers whathever their tastes. So why not take a look at our great selection of holiday accommodation and attractions in Cumbria. We are always looking to update this page on Cumbria. If you would like to contribute material or pictures to this, please email us. Lovetoescape.com aims to provide a one-stop shop for holiday makers by providing an easy to use directory and information portal for all types of holiday accommodation and attractions in the UK and Ireland.